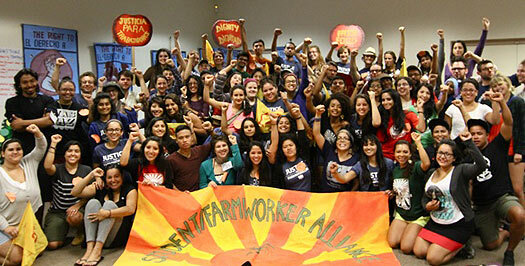 Student/Farmworker Alliance Encuentro 2013 puts focus on Wendys, Publix! 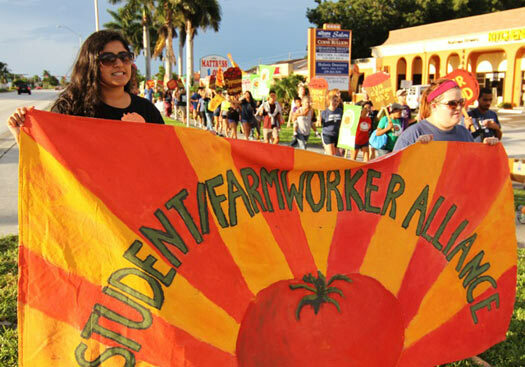 Last weekend, a storied tradition unfolded once again as the Student/Farmworker Alliance convened it’s 9th Annual Encuentro in Immokalee. 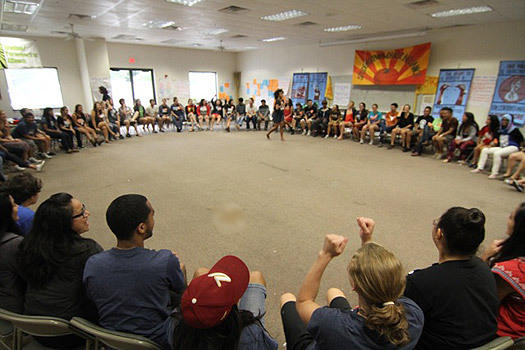 Students and young people hailing from twenty states across the nation converged in the birthplace of the Campaign for Fair Food for a three-day immersion visit. During their time together, Encuentro participants deepened their knowledge of the Fair Food Program, honed their organizing skills, and fortified the relationships that will carry them through the ups and downs of the battle that lies ahead — the battle to expand the historic gains already secured through the Fair Food Program, a battle that is aimed squarely at Fair Food holdouts Wendy’s and Publix. After a day of skill-building workshops, from media & messaging to successful action planning, we spent Friday night examining the meanings of “solidarity” and “allyship.” We heard from the CIW what these things have meant to them over the course of the campaign. We challenged ourselves to delve deeper into our commitment to building a food system that’s fair for all, from those of harvest food to those of us who are nourished by it. On Saturday morning, we focused squarely on Wendy’s. Revisiting the history of Boot the Bell – a campaign with which Wendy’s CEO (and former Taco Bell CEO) Mr. Brolick is all-too-familiar – students realized that nearly every person in the room either had a Wendy’s on or near campus or was connected to one in some way. The decision was unanimous to take up the torch this coming school year and, well… Boot the Braids? Saturday evening saw a dual action that began at Publix. Local management was unusually receptive to our delegation, promising to pass along our letter to corporate. Energy coursed through the crowd as we marched along Hwy 41 to a nearby Wendy’s. With jaranas resounding behind them, students took up bullhorns, maintaining the anímo outside as a second delegation entered the restaurant. In addition to this thorough report, here are two visual treats from the action in Naples. First, don’t miss the excellent Fox 4 News coverage of the action! By the closing session on Sunday afternoon, the youth of the Fair Food Nation were ready. 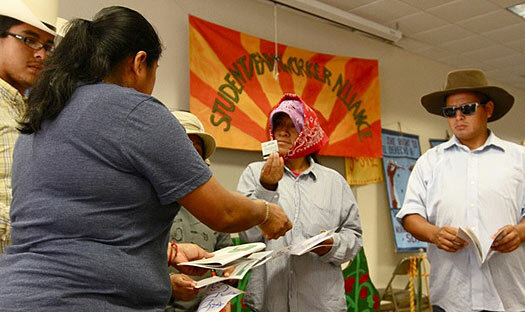 Filled with hope and first-hand knowledge of the transformative power of the Fair Food Program, the Encuentro participants returned to New York, California, Texas, and too many states more to mention, energized and committed to take the Campaign for Fair Food to the next level.